The whistleblower accusing Facebook of a massive data breach told the British parliament Tuesday that private intelligence firm Black Cube was hired to obtain compromising information on the president of Nigeria. Tel Aviv-based Black Cube denied the allegation by calling it “a flagrant lie,” and vowed to seek legal redress for Mr. Wylie's “defamation” of the company. Founded in 2010, Black Cube markets itself as a firm that offers the expertise of former Israeli spies. The company gained notoriety worldwide last year when it was revealed that now-disgraced Hollywood producer Harvey Weinstein had hired Black Cube to collect information on Rose McGowan, an actress accusing him of sexual misconduct. Black Cube apologized, distancing itself from Mr. Weinstein and pledging to stick to clients involved in business disputes. The Weinstein affair followed a 2016 arrest of two of the company’s employees in Romania after allegedly spying on the country’s chief anti-corruption prosecutor. According to reports, the two are Mossad veterans. Mr. Wylie was the source cited in reports from earlier this month that Cambridge Analytica mined private Facebook profile data of 50 million users in order to bolster the Donald Trump’s 2016 election campaign with custom-targeted ads. Mr. Wylie had served as the London-based data analytics firm’s director of research. The U.K. House of Commons convened a committee to investigate Facebook privacy violations and, on Tuesday, lawmakers heard testimony from Mr. Wylie, who said the number of users whose data was comprised was much higher than 50 million. He also said that the campaign in favor of Brexit would likely have failed without the help of Cambridge Analytica. Mr. Wylie linked his former employer to a hacking scandal targeting the presidential candidacy of Muhammadu Buhari in Nigeria in 2015. Mr. Wylie said that the material collected by Black Cube was shared with AggregateIQ (AIQ), a Canada-based digital advertising firm, which spread videos on Facebook meant to link Mr. Buhari with Islamic extremism. “AIQ was handed material in Nigeria from Cambridge Analytica to distribute online,” Mr. Wylie said. “That's distribution of kompromat and of incredibly threatening and violent video content, which I've passed on to the committee,” he added, using a term borrowed from Russian that refers to politically damaging information. Mr. Buhari ended up overcoming his rival, the incumbent president, and won the election. Nigeria is just one of several developing countries where Cambridge Analytica became involved in election campaigns using tactics that disregard the law, Mr. Wylie said. “They could care less as to whether or not their work is compliant because they like to win,” he said. Cambridge Analytica has denied having had any ties to Black Cube. Black Cube released a statement rejecting the allegations leveled by Mr. Wylie, saying the firm has never worked with Cambridge Analytica or its parent company SCL Group nor done any business involving Nigeria. 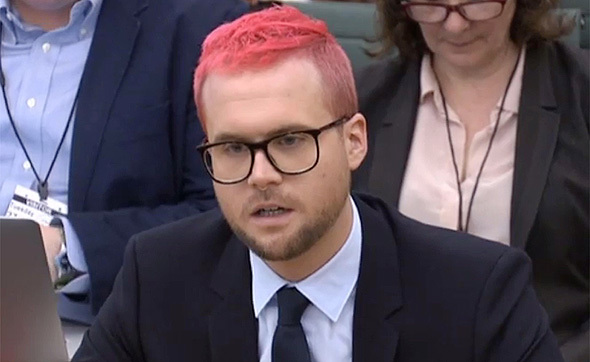 “Whilst we are flattered that we are seemingly being connected with every international incident that occurs, we will state that Chris Wylie’s testimony is a flagrant lie,” the statement said.